What if your brand had a secret weapon to easily acquire new customers and new sales? One of the top marketing goals for brands has consistently been acquiring new customers. But acquiring new customers is extremely expensive, because you are marketing to a group that not only doesn’t trust you, but that has no loyalty toward your brand. So what’s the solution? Let your fans acquire new customers for you. This is the model that rock stars have successfully used for decades to cultivate passionate fanbases. Rock stars embrace their fans and create amazing experiences for them, and then let their fans bring them new customers. It costs 5-10 times more to acquire a new customer than to retain an existing one. The reason for the expense? High advertising costs, companies are forced to advertise to acquire new customers, which is very ineffective, and very expensive. Retention rates can increase by up to 27% when a customer is referred by a current one. The reason? Because we trust current customers more than we do advertising messages. If our friend or a member of our family tells us to buy a product, we will trust that recommendation, but we often will not trust advertising. Existing customers spend 67% more than new customers. Your existing customers are happy with your brand, so these are exactly the customers you want to acquire new ones for you. Think about it, which is more likely to sell you on a brand; a commercial that you miss cause you ran to the bathroom, or a positive endorsement from a trusted friend? You know the answer. So how can your brand adopt this same marketing philosophy? One way is by creating a brand ambassador program. A brand ambassador program is designed so that you have an ongoing, working relationship with special customers who are fans of your brand and who want to be brand ambassadors. Their job is to stay in constant contact with your customers, not only promoting you to these customers, but also giving you invaluable feedback on what your customers think about your brand. This allows you to make your marketing more effective and efficient, and have much greater insights into who your customers are, and how to market to them. 1 – Maker’s Mark’s Brand Ambassador Program. Launched in 2001, this program now boasts hundreds of thousands of members. The members consider it their ‘job’ to help grow the Maker’s Mark brand, and actively thank any establishment that sells the product, and actively petition any that are not selling Maker’s Mark, to please do so. The growth of the program has been completely organic, as the brand refuses to do any advertising to promote it. How would you like to have hundreds of thousands of fans that considered it their job to help you grow your brand? 2 – The Fiskateers Movement. Now over 5,000 members strong, this program generated a 600% increase in online conversations around the Fikars brand within 5 months of being launched. The program has a small group of ‘Lead Fiskateers’ which rotate over time. These Lead Fiskateers are so popular among the Fiskateers community that they often receive autograph requests and any store that hosts a lead Fiskateers experiences 3 times the sales growth on average, versus comparable stores that do not. 1 – Buy my book Think Like a Rock Star: How to Create Social Media and Marketing Strategies That Turn Customers Into Fans. The entire book tells you exactly how to better connect with your fans, and the final four chapters specifically give you step-by-step instructions on how to create and launch a successful brand ambassador program. 2 – Hire me to conduct a workshop at your company on how to create and launch a brand ambassador program. These can be 2-hour workshops that will give you an overview of the process, or an all-day workshop that gives you the exact framework that your company will need to launch its own brand ambassador program. The 2-hour workshop is suggested for companies that are interested in learning more about how a brand ambassador program could benefit them. The all-day workshop is designed for brand’s that have committed to launching a brand ambassador program and need exact guidance on how to create a launch such a program. If you would like a custom quote on this service including a specific outline of what would be included, please email me. 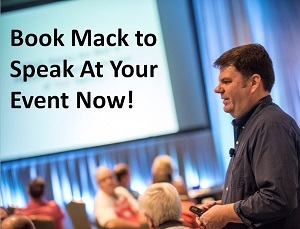 You can learn more about my Brand Ambassador Program speaking and workshops here. 3 – Hire me to help you create and launch your own brand ambassador program. I will help you create the design of your brand ambassador program, including both the internal and external structure of the program. I will work with you to show you how to identify potential brand ambassadors, and how to grow an ongoing relationship with them, and how to leverage that relationship to not only provide value for your ambassadors, but to also become a channel to fuel real business growth for your brand. This is a long-term project, with a minimum timeframe of 6-months required and a minimum $25,000.00 investment from your company. If you would like a custom quote and proposal for this service, please email me.